You have no idea how happy I am that a.) that I am no longer suffering in pain with my back b.) 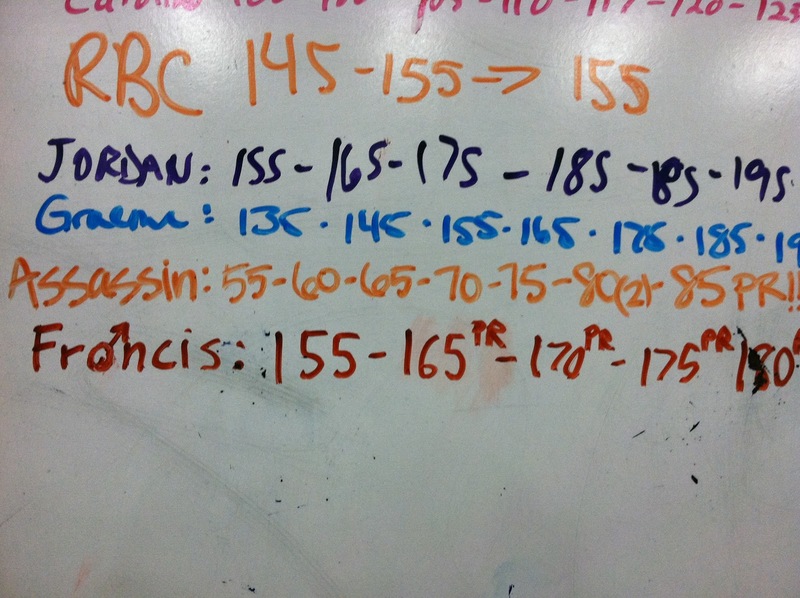 that I am able to do heavy lifts c.) that I set a new split jerk PR!! And here is my blog entry for that March 31, 2010. I'm pretty close to my body weight. I know that BW split jerk isn't that big of a deal; it's not a huge marker for strength. 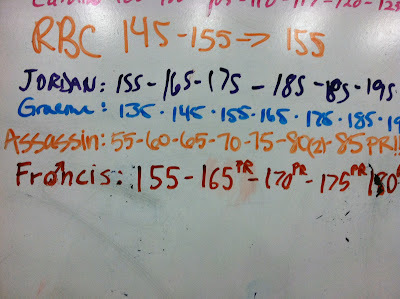 I think 1.5x body weigh for split jerk might be something to be marveled at. Either way, super happy with the new PR. I did 80# twice cause on my first rep I didn't feel solid in my landing, and struggled with getting control of the bar. Joe D. noticed that when i dipped, my torso came forward so I didn't drive the bar in a straight line. While the rep counted, I wanted to do it again. On my second attempt, I resolved to drive my elbows up while racked so that I wouldn't be pulled forward when I dipped. And it worked. I dipped and pushed myself under the bar and the lift felt easy, not heavy at all. I really wanted to set a new personal record tonight. I was nervous at the thought of 85#s over my head. Sometimes I think about Arbel failing at a split jerk lift, dumping and breaking his foot in half. Ya, awesome. All I kept replaying in my head was Diso saying Technique! Technique! Technique! That technique is the key to a successful lift for small people, that what you lack in strength will only be amplified in lack of technique. Racking the bar on my shoulders, it felt heavy, even though it was only 5#s more. I took a deep breath and went for it. Success!